If Nokia’s Lumia smartphone range was a rugby team, the flagship Lumia 920 would play prop, whilst the new Lumia 720 would be the nimble winger. Does this midranger have enough flair to outflank a sea of Android opposition? Compared to the tank-like Lumia 920 (review), the thinner (10.1 mm vs 9 mm) and significantly lighter (185 g vs 128 g) polycarbonate frame of the Lumia 720 is a lot easier to carry around in your skinny jeans pocket. The 720 is also one of the best Lumia smartphones to handle due to its more rounded look and feel compared to the square shape of the Lumia 820 and 920. The unibody design does have a few drawbacks though including the device’s 2000 mAh Li-Ion being non-removable, meaning road-warriors are unable to carry a replacement battery with them. Users will also find that they require the specially provided SIM removal tool, every time they wish to access the tray for the microSIM slot or the tray for the microSD memory card slot (supports cards up to 64 GB in size). As on the Lumia 820 (review), users do not receive an HD display, and have to make do with a still usable 480 x 800 resolution (217 ppi pixel density) on the device’s 4.3" capacitive touchscreen. Nokia’s ClearBlack display technology keeps things visible in direct sunlight, while Espoo’s super-sensitive touch technology means we managed to use the mobile whilst wearing gloves, especially useful during those cold winter mornings. Powering the Windows Phone 8 operating smartphone is a dual-core Qualcomm Snapdragon MSM8227 CPU running at 1 GHz, coupled with 512 MB of RAM. This combination delivered a WP Bench score of 173.51, which is better than the 158.64 which the Lumia 520 (review) managed but significantly off the pace (237.22) of the class-leading Lumia 820. During general usage, the Lumia 720 ensured that navigation of the OS remains smooth, but we did notice some lag creeping in while switching in between multiple apps. This was certainly not something we experience on either the Lumia 920 or 820. At the back of the Lumia 720 resides a 6.7 MP autofocus camera with Carl Zeiss optics, LED flash and BSI (backside illumination). Thanks to the snapper’s larger (f1.9) aperture, photo quality remains impressive during low-light conditions. Nokia also includes a 1.3 MP front-facing camera for making video calls and taking self-portrait shots. Also onboard is 3G HSDPA connectivity, dual-band Wi-Fi 802.11n, NFC, Bluetooth v3.0, GPS with aGPS and GLONASS support (Russia’s GPS system). 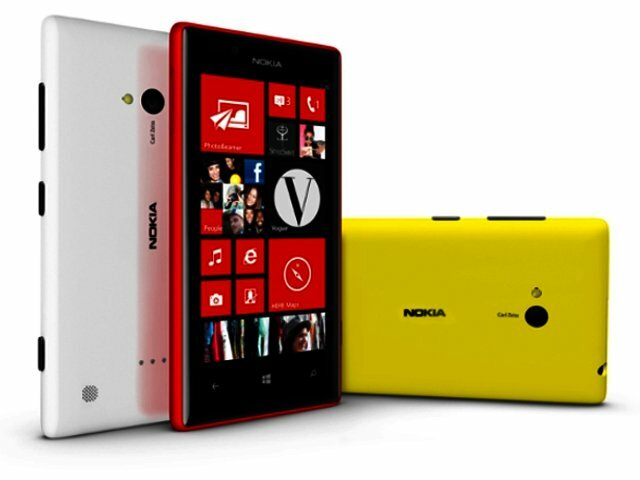 Nokia’s Lumia 720 is a well specced midrange smartphone with a quality design. Its R5 400 RRP pits it against more affordable Android rivals the likes of Samsung’s Galaxy S3 Mini (R4 000), HTC's Desire X (review) and Sony’s Xperia sola (R4 300). We feel that users looking for a midrange smartphone, capable of capturing excellent stills will be content with their Lumia 720. Users placing a higher importance on apps should rather opt for its Android rivals, thanks to immense gap in the app availability count that exists between Windows Phone Store and Google Play. Thin, light and pocket-and-grip-friendly frame. Similarly specced, but cheaper Android alternatives available. Excellent design; great rear-facing camera; thin, light and pocket-friendly frame. Some lag while multitasking; non-HD display; and similarly specced but cheaper Android alternatives available.